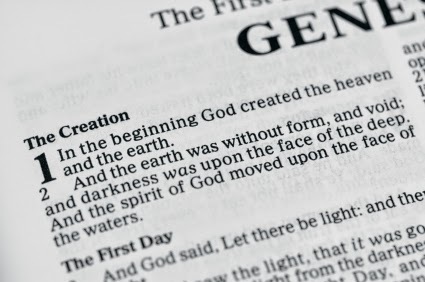 One of my favorite books of the Bible is Genesis. I like beginnings and guys who wrestle. What happened between the first and second verse of Chapter 1? What did Eve think was happening while she was pregnant? Who told Lamech he could have more than one wife? What was Noah doing while he was naked that caused him to curse Ham for seeing it? 1. Women were considered very attractive into their 80's and later. This is why their husbands would pretend the women were their sisters. This prevented the "other" men who clearly couldn't control themselves around these hot mamas from killing the "man of the house." In reality, they weren't brother and sister - more like, half-brother and sister or cousins. That's so much better. 2. Babies were often named after something significant related to the circumstance of their birth. For example, Jacob (son of Isaac and Rebekah) has a name similar to the Hebrew word for "heel" because he was holding his twin brother's foot upon exiting the womb. If my parents had employed this method, I would have been named Melonheadia. 3. Stealing something from a family member never works out well. If you did attempt this, you needed to leave home immediately and only return when you could provide 100 sheep or a water well named in their honor as a peace offering. The exception to this rule was Rachel (wife to Jacob). She stole her father's household idols and hid them in her riding saddle. When he began the search, she apologized for not being able to rise from the camel because she was "in a woman way." It's good to know this special monthly arrival has been a go-to excuse for women for thousands of years. The most important lesson Genesis has taught me is that God is slow to anger when His children act like putzes. I'm a regular recipient of this mercy. If you're a Bible reader, which stories are you drawn to the most?